Join us and celebrate your LOVE all weekend and spoil your Valentine! Our Valentine's Day Bundle of Love package will be offered from February 14-17th. Select the date and time you'd like to attend, and let us know which (2) projects you and your Valentine would like to create. 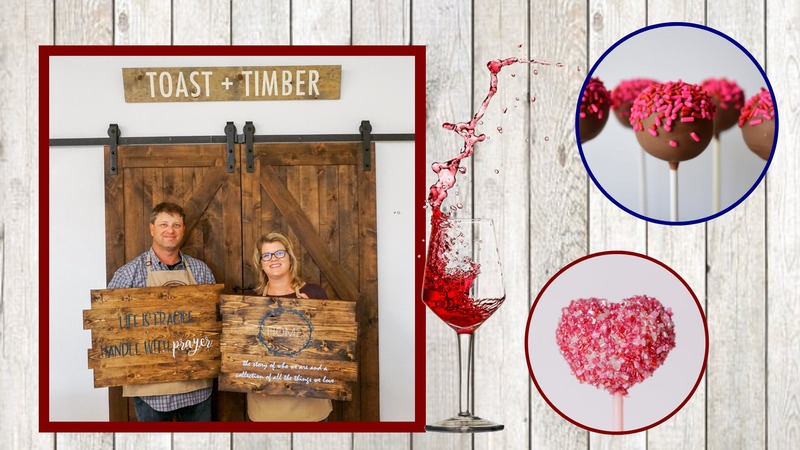 This package includes:2 projects from our gallery of your choice*Complimentary Wine1/2 Dozen Cake Pops, hand crafted by Blake PopsThe deadline to register for the Valentines Day Bundle of Love package is February 11, 2019 at 11:59PM. *Growth Charts are not included with this packageTickets must be purchased through Evenbrite or our website to reserve your seats. To review all of our designs and projects, please visit our website at www.toastandtimber.com.